Farberware FMWO11AHTBKB microwave oven comes with 1000W of cooking power and custom control, which are perfect to fulfill all the needs of a busy kitchen. This is a large-size unit that lets you enjoy quick and custom cooking. It can greatly fit your counter. When it comes to the performance of Farberware FMWO11AHTBKB then you don’t need to worry because Farberware has 100 years of experience in making performative kitchen appliances. Farberware keeps value, quality and durability in mind at the time of making a kitchen appliance. 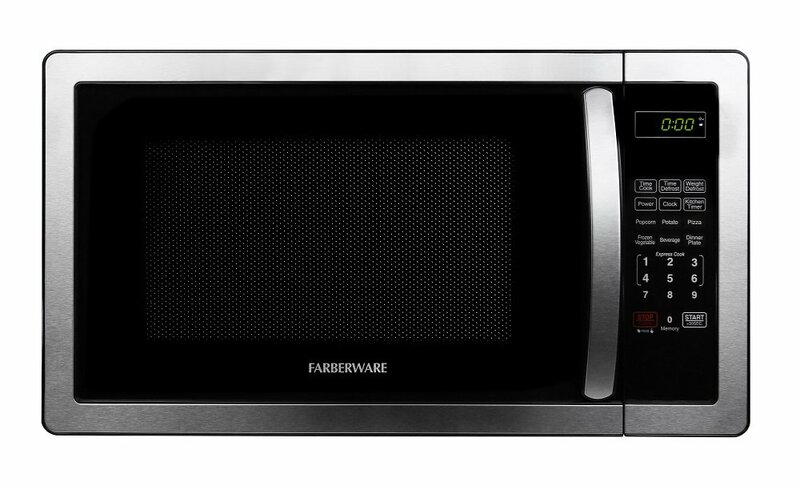 Amazingly, Farberware FMWO11AHTBKB is a classic portable microwave unit, which is ready to provide easy cooking in your kitchen. Since the microwave oven comes from the popular Farberware brand so there shouldn’t be any doubts to the quality and performance. Because Farberware has been a great innovator in housewares and household name for over a century. Up to now, all the products of Farberware are designed with the consumer in mind and manufactured to the highest standards. Farberware FMWO11AHTBKB microwave oven comes with 10 power levels, express cooking, 6 preset menus, defrost by weight or time, multi-stage cooking and kitchen timer. This advanced microwave oven is ready to perform any cooking task with the greatest ease. The Farberware microwave oven comes with advanced style and function to give you an impressive cooking experience. You are able to choose from many colors, finishes and textures that compliment and accent your kitchen, dorm or office. Further, the Farberware microwave oven has 1.1 cu. ft. cooking space that gives a sleek design with the specious interior holding large-size food items, dinner plates, baking plates and other larger food packets. Further, it comes with 12.4 inches turntable and the cavity measurement is 13.9 x 14.5 x 9.1 inches.